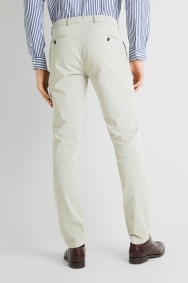 Classic trousers that stand out for their versatility. 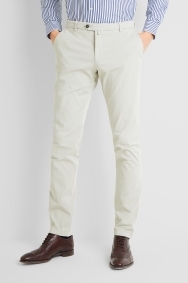 Tailored with a subtle tapering effect, these chinos have a smart appearance that suits both business and social settings. They’re made from a soft rich, Italian cotton fabric, with 3% saved for stretch to recover from creasing throughout the day. 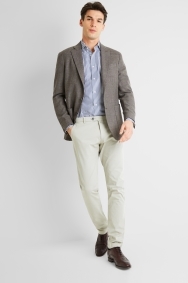 Contrast with a striped or checked shirt and add a jacket if you want to look smarter.